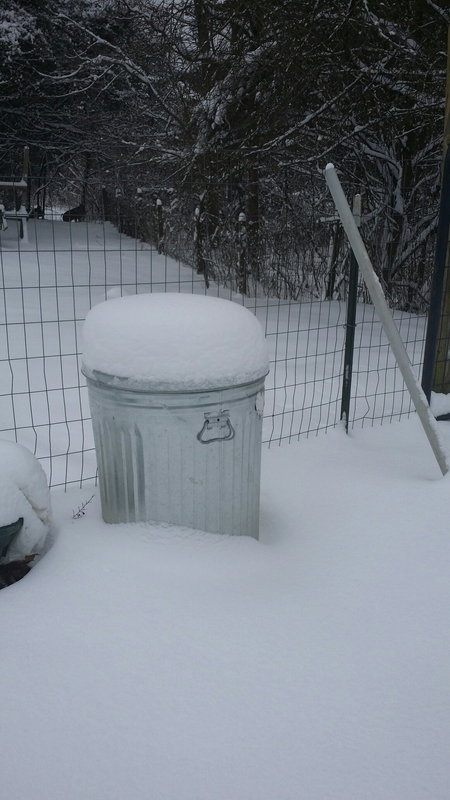 Everybody was tagging snowpocalypse last night on Facebook and Twitter (at least it seemed that way to me). 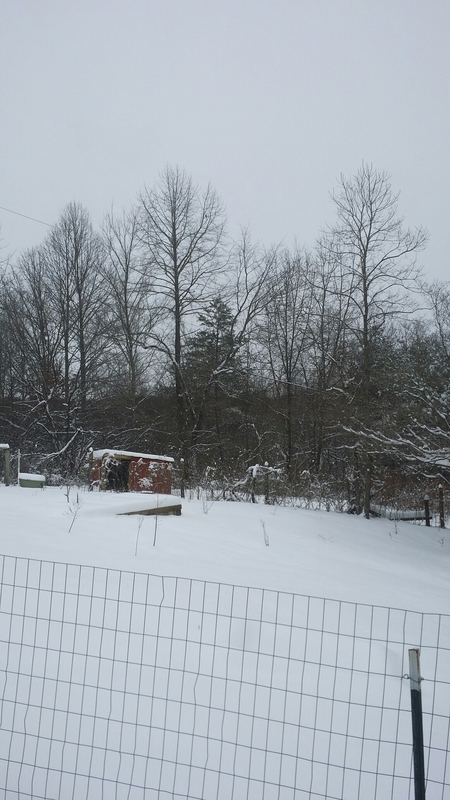 I’m not sure how others fared nearby, but here’s the results of the winter storm here at Striving Acres. The snow has stopped, and as of 10a.m. 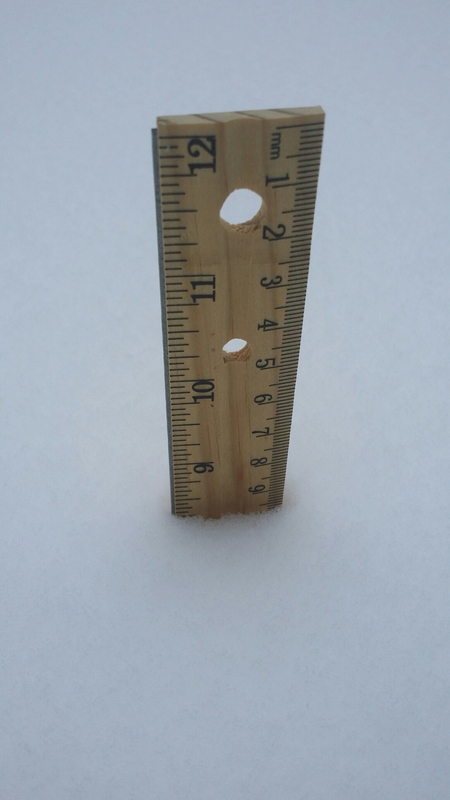 this morning, we have a total of 8.25 inches of snow. I measured in several places, and this is accurate! 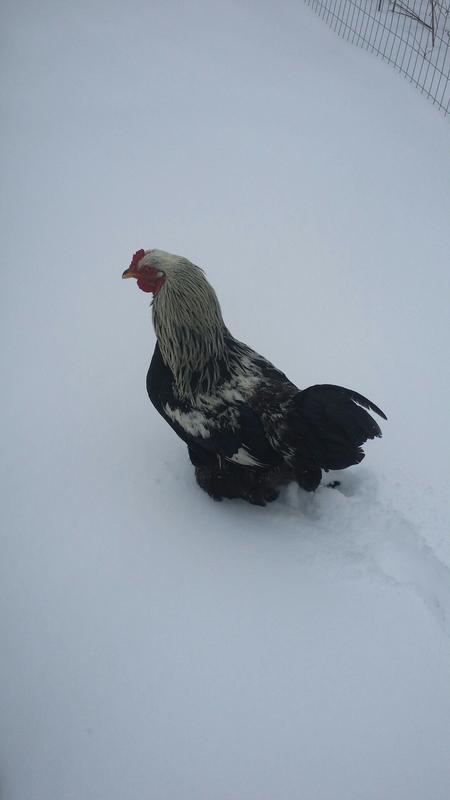 Fun fact: chickens don’t like being belly deep in snow. Only the frat brothers (the three youngest roosters) were stupid brave enough to venture out of the coop. That blue step you see is the second step down from the TOP. 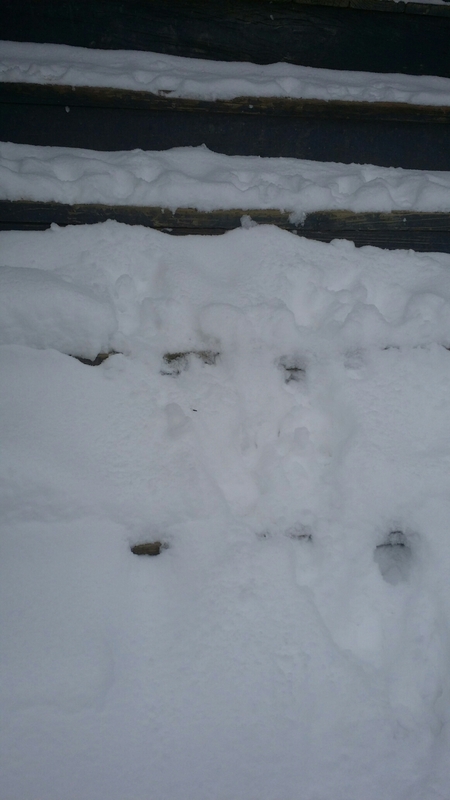 The porch steps are covered where the snow drifted. It is loose snow, though, so it was easy enough to just knock it off. Look how deep it is!!! 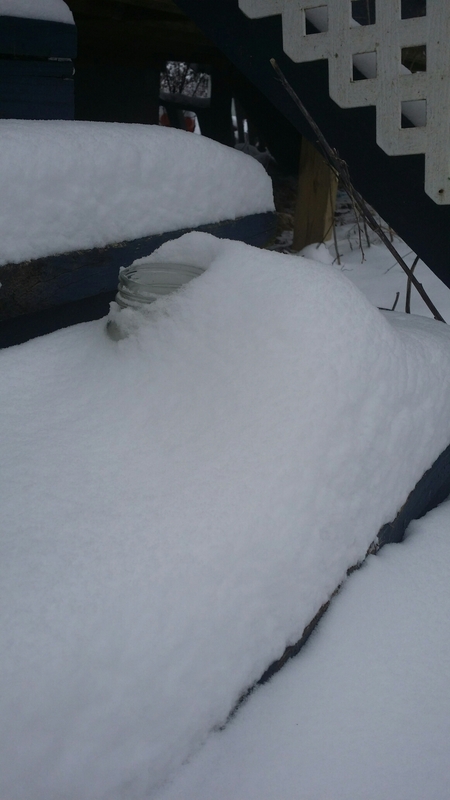 This quart jar sets on the third porch step, and it was nearly covered over. 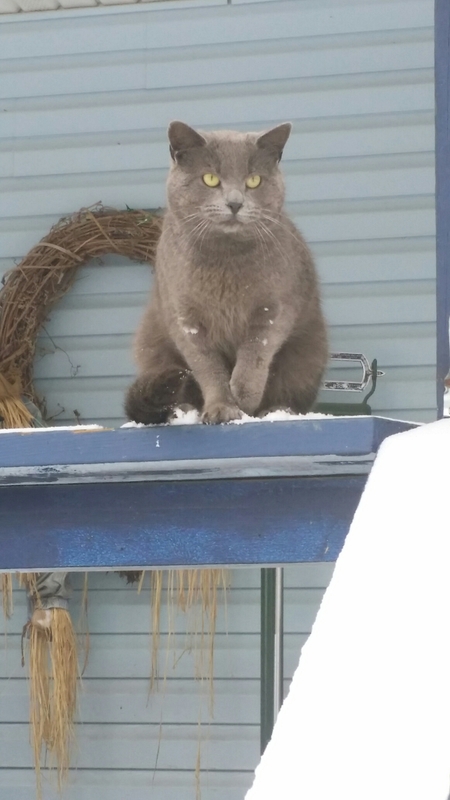 Fun fact: cats don’t like the snow, but it doesn’t deter them if there’s food involved. I was five minutes later than normal getting to the catfood, and Rory (normally all sweetness) acted like I’d personally given him a vinegar cocktail. I guess walking through snow and not having breakfast waiting on him makes him grouchy. 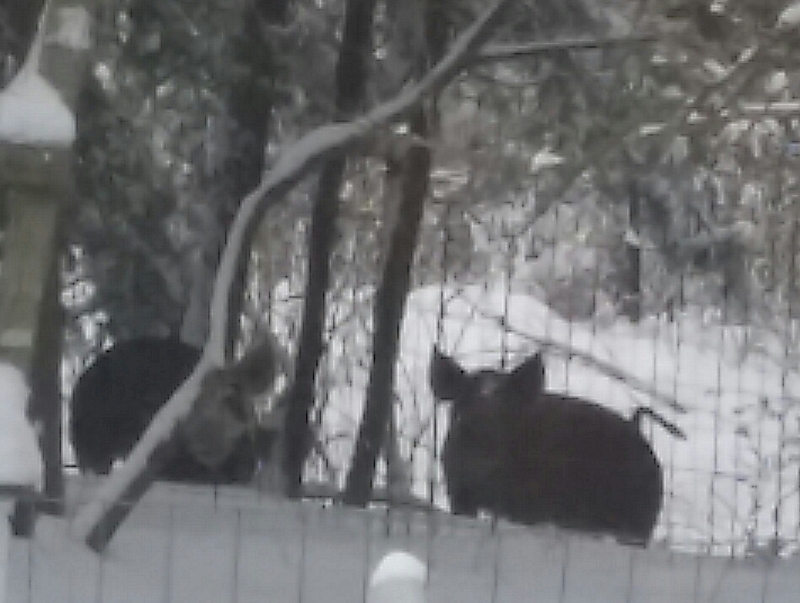 Fun fact: pigs don’t care if it snows; I’m pretty sure they’re enjoying this. 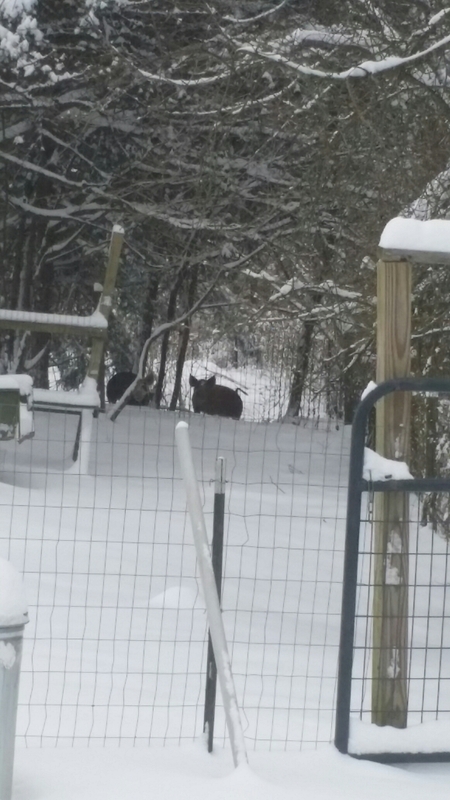 I watched them for a few minutes; Dixie and Bitsy were chasing each other round and round, rooting through the snow, rolling in it like Cooper in a fresh cow pie. I’m pretty sure their fence shorted out due to the deep snow (as in its now off). I’m praying they don’t realize it because I really do NOT want to chase pigs through all this snow. 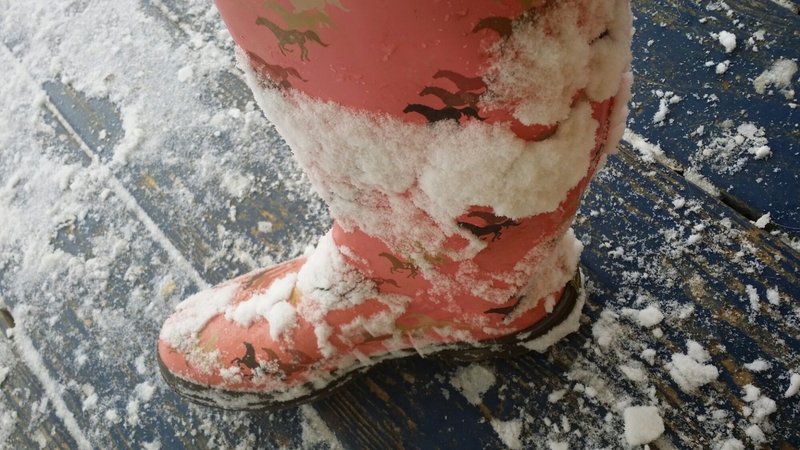 Thank goodness for nice tall muck boots! We were calling it, “Snowmageddon” here in Kentucky! Where I live we only got 4 inches. Boo.